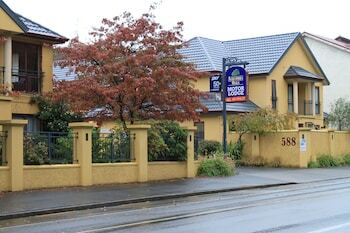 With a stay at Alhambra Oaks Motor Lodge in Dunedin, you'll be a 5-minute walk from Otago Museum and within a 5-minute drive of Olveston. Featured amenities include a business center and laundry facilities. Free self parking is available onsite. With a stay at Academy at Botany Motor Inn in East Tamaki, you'll be within a 15-minute drive of Half Moon Bay Marina and Manukau Institute of Technology. Free self parking is available onsite.